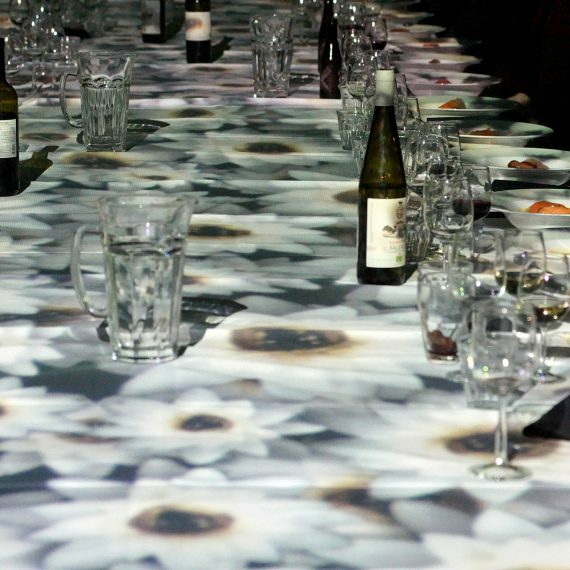 The Seventh Sense is an un-average pop-up restaurant. 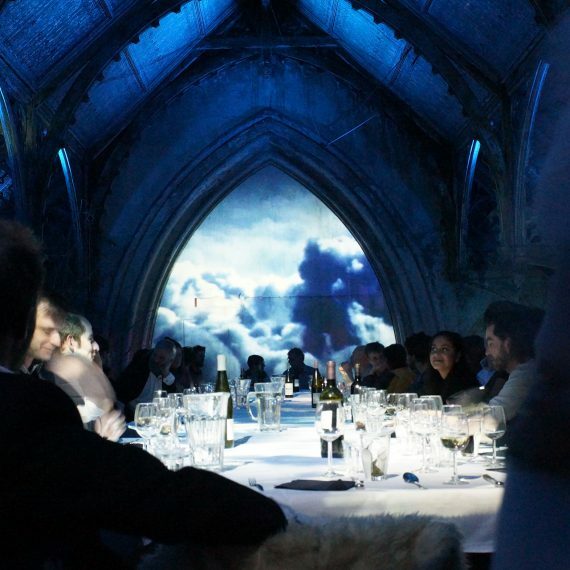 Here the guests order diner in a bizarre, surrealistic world between the clouds, in an underwater landscape, and by the sea. 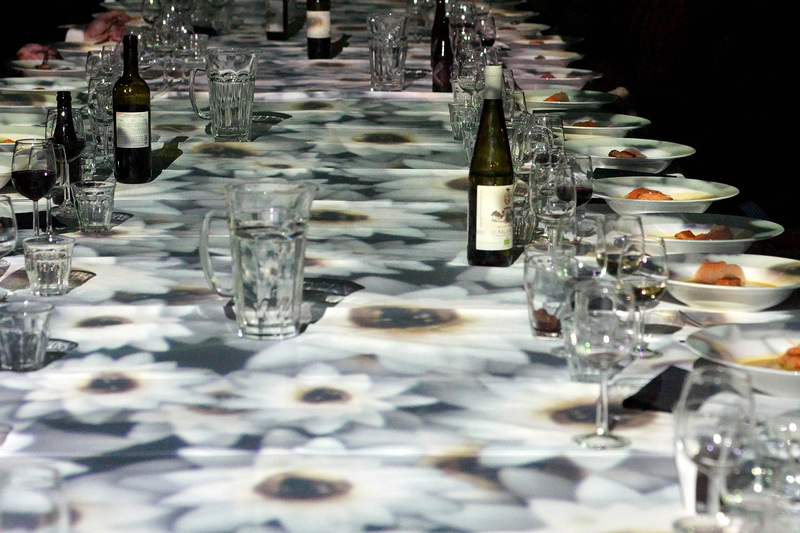 A complete experience of tastes, video-projections, theatre and soundscapes. 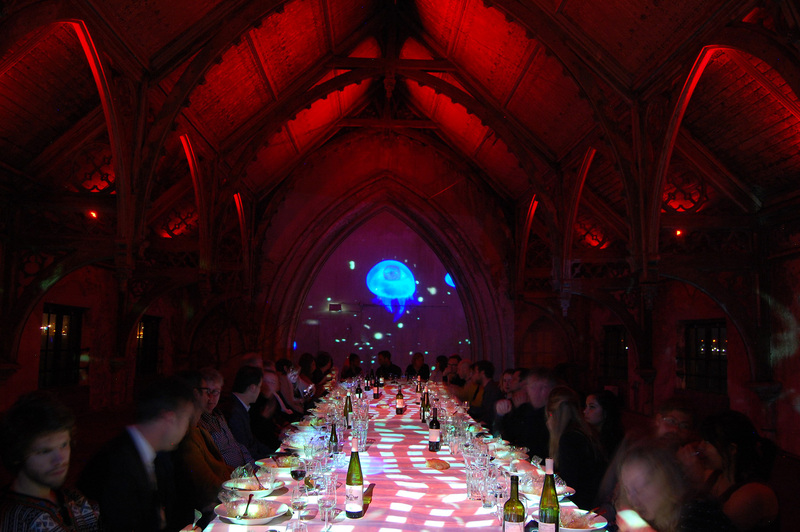 The courses are served to big tables where the guests communally eat. 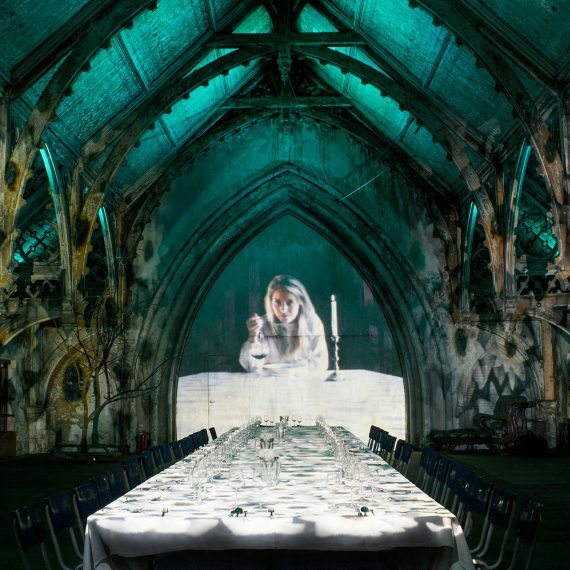 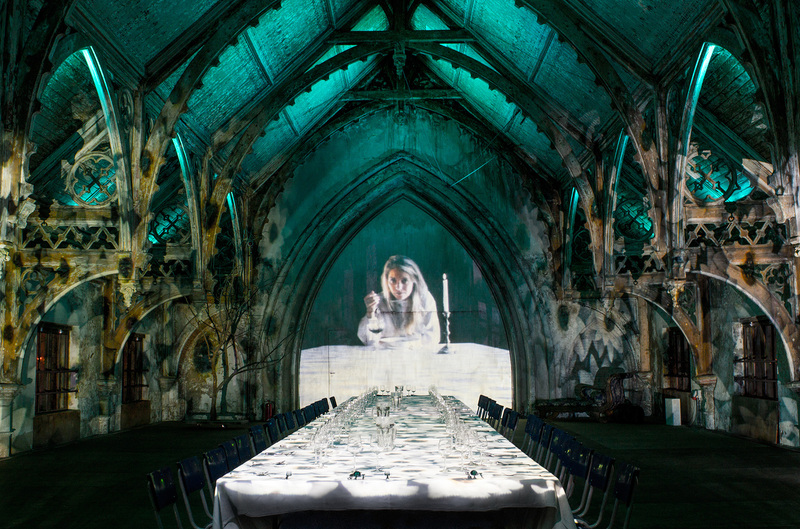 Due to the video being projected above the tables and throughout the room, the guests are literally dining between the light-projections. 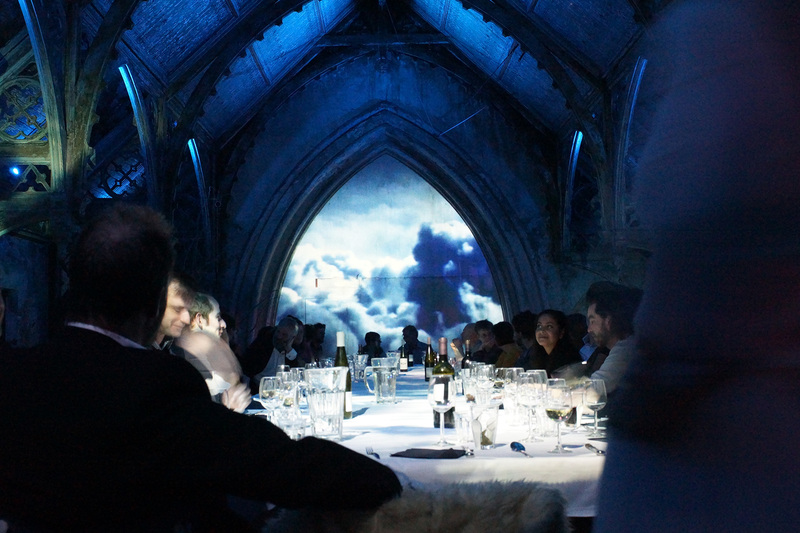 Dinner experiences by Beeldjutters can be booked for events and festivals. 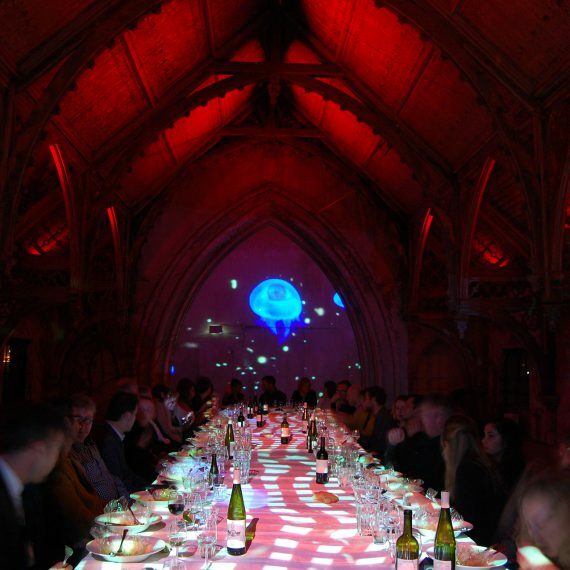 We can be contacted for more information.